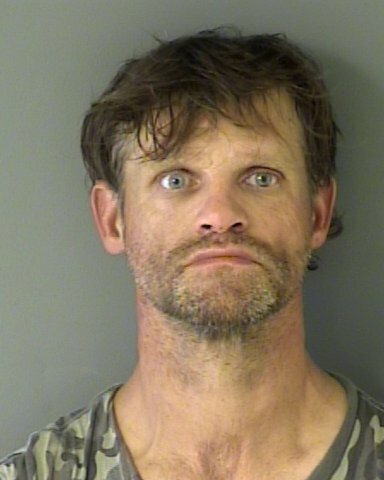 Hollister police arrested a burglary suspect on the Fourth of July after getting tips from a resident. On July 4, 2018, a Hollister man was charged with burglary after he broke into a residence and took several items. On July 4, 2018, a concerned citizen reported a man had broken into a home on the 1500 block of Cushman Drive. There were also reports of a man leaving the area carrying several items. Police officers contacted the home owner and he verified the house had been broken into and several items had been taken. 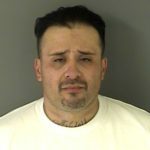 As the initial responding officer was conducting his investigation, a San Benito County deputy contacted a person who fit the description of the suspect seen leaving the residence. Hollister Police officers responded to their location and were able to verify the man’s identity, from previous contacts, as being Joseph Girardin (42). Girardin had several household items in his possession. The victim was able to verify the items found with Girardin where taken from his residence. During the course of their investigation officers discovered another witness had observed Girardin in the area and knew Girardin didn’t live there. The resident recorded video of Girardin carrying the stolen items and turned it over to police. 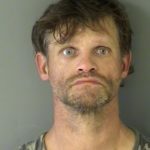 Girardin was arrested for burglary, possession of burglary tools and possession of stolen property. The Hollister Police Department would like to thank the citizen who called in the crime as well as the citizen who took the video footage of Girardin. The police depend on its partnership with the community to ensure the safety of the public and to solve crimes. The Hollister Police department would also like to thank the San Benito County Sheriff’s Department for its continued support and partnership. Anyone with information regarding this investigation is asked to contact Officer Julio Martinez at The Hollister Police Department at 831-902-8733. Persons wishing to remain anonymous may call WeTip at (800) 78-CRIME. Information provided to WeTip may qualify for a reward.